Kim Tran has come a long way. Perhaps farther than most people, over 12,000 circuitous miles from Saigon to the US, settling in the Tampa Bay area; and further than most IT professionals, from a seven (7) year old Vietnam refugee to a Team Leader; a highly respected and valuable technical support representative with over 9 years of service at Integra Business Systems. When most children her age were contemplating Kindergarten, Kim’s life lessons were forever altered when South Vietnamese President Duong Van Minh delivered an unconditional surrender to the Communists in the early hours of April 30, 1975. The few remaining Americans evacuated Saigon. There are all kinds of connotations surrounding the term “boat people”. 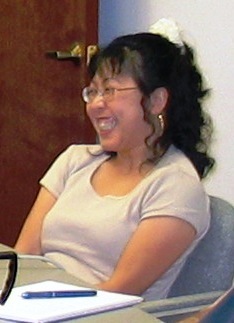 Here at Integra, when we think of “boat people” they are personified in Kim Tran. She’s a person with an easy smile and an even easier laugh, albeit more of a shy giggle. We at Integra are fortunate to have our very own refugee (survivor) of an era of trauma and suffering that once was the aftermath of the Vietnam War. Many people think of Vietnamese refugees, as only those who were fleeing the country in 1975 as the Americans left Vietnam. In fact, a large number of refugees “boat people” didn’t flee Vietnam until the late 1970’s when China decided to invade Vietnam. The Chinese began financing the Khmer Rouge in Cambodia as a counterweight to the Vietnamese communists at this time. The Khmer Rouge launched ferocious raids into Vietnam in 1975–1978. Vietnam responded with an invasion that toppled the Khmer Rouge. The conflict between Vietnam and Cambodia escalated in 1978. In response, China invaded Vietnam in 1979. The two countries fought a brief border war, known as the Third Indochina War or the Sino-Vietnamese War. The short but bloody border war with China a year later resulted in a deliberate policy to encourage the departure of ethnic Chinese(Hoa) from Vietnam. From 1978 to 1979, some 450,000 Hoa left Vietnam by boat as refugees or were expelled across the land border with China. 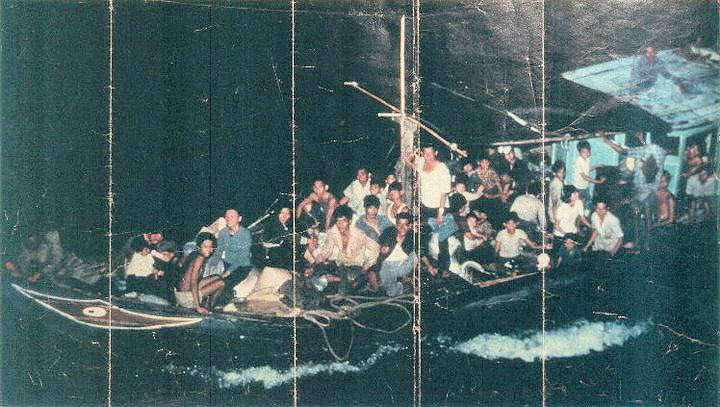 In the late 1970s the Socialist Republic of Vietnam took increasingly drastic action to transform the capitalist economy of the south into a socialist one and the Hoa in Vietnam were disproportionately affected, leading to the first wave of ‘boat people’, fleeing the Vietnamese communists, primarily from the South, beginning in April 1978. Kim was a seven (7) year old and a victim of circumstance. Beginning in 1975, the Hoa bore the brunt of socialist transformation in the South (Vietnam). An announcement on March 24 outlawed all wholesale trade and large business activities, which forced around 30,000 businesses to close down overnight followed up by another that, banned all private trade. Further government policies forced former owners to become farmers in the countryside or join the armed forces and fight at the Vietnam-Cambodia border and confiscated all old and foreign currencies, as well as any Vietnamese currency in excess of the US value of $250 for urban households and $150 by rural households. While such measures were targeted at all bourgeois elements, such measures hurt thec Hoa the hardest and resulted in the takeover of Hoa properties in and around major cities. Hoa communities offered widespread resistance and clashes left the streets of Cho Lon full of corpses. These measures, combined with external tensions stemming from Vietnam’s dispute with Cambodia and China in 1978 and 1979 caused an exodus, a majority of the Hoa, many who fled overland into the province of Guangxi, China, from the North and the remainder fled by boat from the South. Sadly, officials estimated that nearly one-third of these “boat people” perished at sea from starvation, drowning, and pirates, problems that increased when some Asian countries began turning away boat people. By the end of 1980, the majority of the Hoa had fled from Vietnam. This is the story of one of the survivors, one of the Chinese refugees “boat people” from the South and her family; our very own Kim Tran. Kim Tran, a Team Leader and Technical Support Representative for Integra Business Systems, Inc. since June, 2001 will be celebrating her 10 year anniversary with Integra next year. “Like many other immigrants after the fall of the South Vietnam or Saigon, my family and I had fled from our country in search of a better life. My name is Kim H Tran. What I am about to share is my recollections of my family’s escape from Vietnam. This is my first time ever that I have written about this. The event started when I was about 7 years old. My family was financially well off before we left Vietnam. 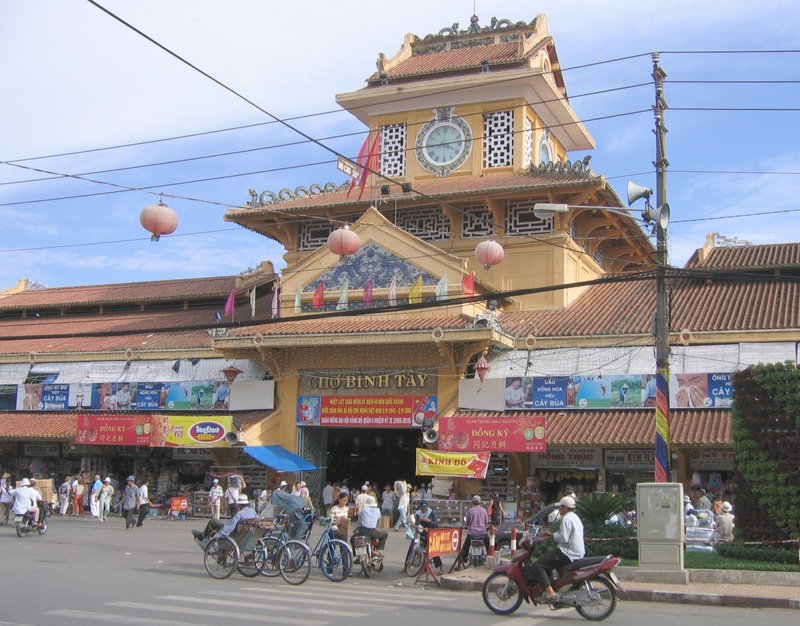 We lived in downtown Saigon Cho Lon (Big Market), Vietnam. I remembered after the war in 1975, many lives, including my family’s, changed forever. The communist soldiers seized and captured what they deemed to be theirs, which was everything valuable… Then they posted soldiers at each house and business 24/7. We had two soldiers posted in front of our home. Their job was to monitor everyone and every activity. Large businesses shut down and migrated to other cities. Many families lost family members to the communist’s cause, either by choice or by involuntarily draft. Saigon was no longer an energized and vibrant city. It was replaced by turmoil and confusion. After the war, my family’s schooling was interrupted. 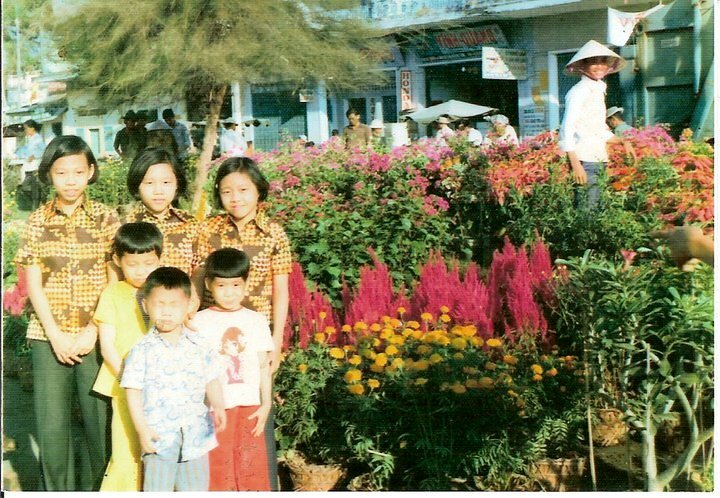 I remembered being sent away to our plantation in Long Khanh, for several months then rotated to a factory in My Tho, in another city, for several more months. My grandmother didn’t want to retain anyone who might attract attention to our home and businesses. As a consequence, those who cared for my siblings and I (our caretakers) were let go except one, Anh. Anh was presented as one of the sibling in my family to the soldiers. One day in 1978, I was awokened by my mom. I was told to be quiet and get dressed. She gave me 2 sets of clothing and I was told to wear them both. I was instructed not to bring any of my personal belongings. Once my younger brothers were dressed, we were led by someone to the river. My grandmother, mom, 4 younger brothers and several other people and I got into the small canoe. The oarsman took us all along the river, which led to the open channel. 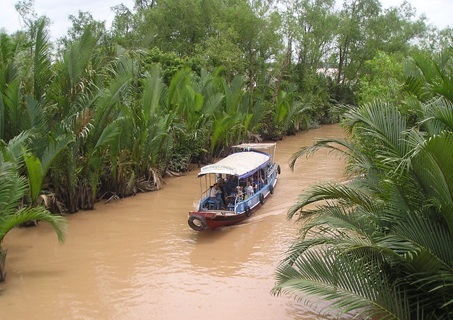 Vietnamese canoe owners were paid to transport passensgers to fishing boats. As we approached daybreak, two patrolling soldiers in a canoe came from the opening of the channel traveling in the opposite direction of our canoe. They asked the oarsman, where we were headed. The oarsman replied, “To a wedding across the way.” I forgot to mention, we had a passenger pretending to be a bride in our canoe. The soldier inspected the canoe and passengers and we were allowed to proceed on our way. As their canoe disappeared, the oarsman and several other people began to row toward the ocean as fast as they could. There was a planned rendezvous with a larger boat. We finally reached the bigger boat, all of us were rushed onto the boat and we proceeded quickly below to the engine room. And it was there that my mom, my younger brothers, several other people and myself stayed for days and nights. We had neither food nor drink. I couldn’t tell if it was night or day just darkness all around me. One day, I was awakened by a soft voice calling my name. I could barely open my eyes due to fatigue. As I struggled to open my eyes, I saw a bright light crack open and slowly got wider. I saw a small arm passing a cup toward my way. I tried to raise my arms to grab it but my arms felt too heavy. Someone close to me grabbed it and passed it to me. First sip, I couldn’t tell what I was drinking. It tasted lemony but salty and smelled funny. I pass it back but someone encourage me to drink a little bit more to quench my thirst. I replied I can’t drink, it tasted so bad. A soft voice told me, yes but tried anyway. I took another small sip and passed it along to someone else. That was the first time, I saw a glimpse of daylight since my family and I boarded the boat. It seemed like an eternity in the darkness. Vietnamese Fishing Boat #23 used by “boat people” in mass exodus. Later that day, the light shined through from the same opening. People were allowed to come up on deck to get fresh air. One after another, people rushed to get out of the pit, as I called it. My brothers, mom, and I weren’t able to reach. My mom was carrying my youngest brother; he was just a toddler then. Someone jumped down from on top and took us kids up one by one and lifted us onto the deck. I got my first breath; the fresh open air filled my lung so quickly that it hurt. I felt a boost of energy. We were then allowed to stay above, seemingly safe from danger. I looked out onto the ocean and as far as my eyes could see, all that surrounded us was the deep, dark ocean. No birds or land in site. As evening came, someone yelled out to get everyone below. Once more, we were rushed down into the dark, smelly, pit of hell. Everyone was told to keep silent. A lady sitting next to me was pregnant and had a toddler. The toddler wasn’t feeling well and started to cry. Up above the deck, someone hushed us and told us all to keep the kids quiet. This lady had to quiet her child by using her hand to cover her toddler’s mouth. She held her child close to her body. It seemed like hours. The engine grew louder as it strained for more power. The smell of engine oil burning became even stronger and almost unbearable. The boat rocked violently from side to side with such force that people were thrown one on top of another. Soon I heard voices but I couldn’t recognize what was being said. I heard a lot of commotion above me, but I couldn’t see anything but darkness. Someone opened the hatch from where we were hiding below and spoke out. I still couldn’t understand what that person was saying. Another voice said, “It’s OK, come on up.” People slowly climbed out one by one, all of them frightened. When it was my turn, I remember a pair of large arms grabbed me and pulled me up. I was passed to another person. I must have blacked out. When I came to, I was on a big ship. Later I learned it was a World Vision missionary ship. People were talking strange, I couldn’t understand word. I found myself wearing a strange think woven sheet around me. Someone passed me some French biscuits (cookies). I received several shots in the arm. They directed me to follow the crowd towards our boat. There was more turmoil back and forth from those on our boat with those on the ship. Women from our boat started crying, which led us kids to also cry. In the end, unwillingly, we had no choice but to board our smaller boat. The ship departed but followed us for a time. Morning came and evening came. We felt lost and abandoned. The rescue ship long since disappeared. As our boat traveled on the open ocean, seemingly aimless, I saw wood planks floating very close to our boat. First there was one, then another and then even more. People started to worry. Then the captain on our boat yelled out, “I see land ahead.” The mood on our boat changed from one of doom to one of relief. The boat grounded. Those who could got off the boat and assisted the others to shore. They carried women and children on their backs. Once on dry land, I rememebered looking back and watching the boat sink into the sea. We were stranded. Note: Please help us get the good word out. Share us on your favorite social media site and Stumble Upon. Thanks. A great read – very inspirational! Wonderfully written. I am looking forward to the next installment. What a way to keep us hanging but we all know it has a happy ending. Thank you for sharing we all have a lot to be Thankful for very inspirational. I over heard that part II is be excellent, too. I found this article to be very educational and inspiring to me. Thank you for sharing your story, and I’m looking forward to reading part 2! I knew parts of Kim’s story and this article is well researched and written. Great cliff hanger! Can’t wait for the rest. Excellent post, I just passed this onto a colleague who was doing a little homework on that. And he in fact bought me lunch because I found it for him.